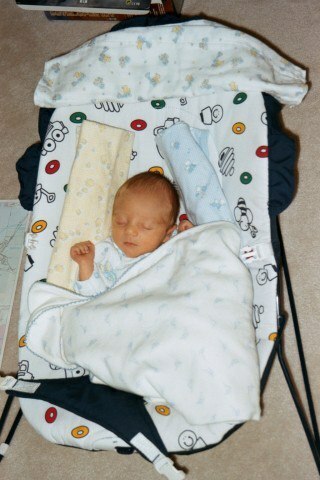 Tomorrow, my firstborn turns 15. How is it that 15 sounds 10 years older than 14? Maybe it’s because he’ll start driver’s ed in April. Maybe it’s because he’s 6’3″ and I can’t tell his clothes apart from his dad’s in the laundry sometimes. Or how grown-up he looks in his ROTC uniform, or how he constantly talks about his “military career” after high school. His whole adult life is right in front of him, and I’m standing behind wondering where that 6 1/2 pound newborn with colic went. But I won’t say, “It went by so fast!” It did in my perception, but honestly, I was there for every minute and I’ve watched him grow. So yes, it feels like it went by fast, but I’m changed, and that confirms that the time did pass. That old clock’s hands ticked double-time. Every age of children is interesting, but I have to say these years, where my kids have fully-formed personalities and interests that diverge from my own, have been the most awe-inducing. Is there drama? Some, but not much. Are there still times I shake my head and ask, “Why?” Yes. Most of the time, though, I have the chance to watch them do things I never saw coming–like a self-avowed band-nerd becoming a marching-band parent or listening to them talk about Texas history (which teaches me something since I took Oklahoma history in school). It’s an intense time of life (mountains of homework, broken hearts, extracurriculars) but it’s fun, too. So when people ask why I write YA, it’s because of the possibilities. Whether you write paranormal or contemporary, historical or dystopian–teens are always on the cusp of something, and that tension, those possibilities, make for great stories. I’m looking forward to the stories my own kids create. It’s going to be a wild ride. This entry was posted in Blog on February 4, 2016 by Kendra.